If you would like to participate in one of the sessions, please send us a short abstract of your paper (approx. 250 words) by November 23, 2018. Besides contributions with a clear quantitative focus we also welcome papers concerning mixed methods. We will review all proposals swiftly and select those that we deem most promising. 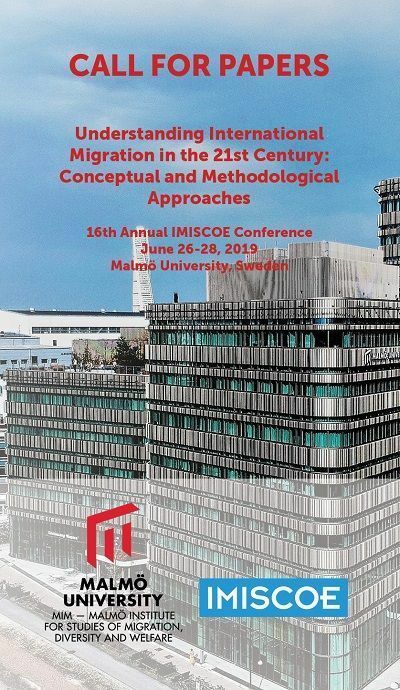 In case we should not be able to include your paper in the coordinated session, we would let you know in a timely manner, thus preserving the option for you to send IMISCOE an individual paper proposal. Please note that the inclusion of your paper in the panel proposal does not automatically mean that IMISCOE shall include the proposed panel in the conference programme.